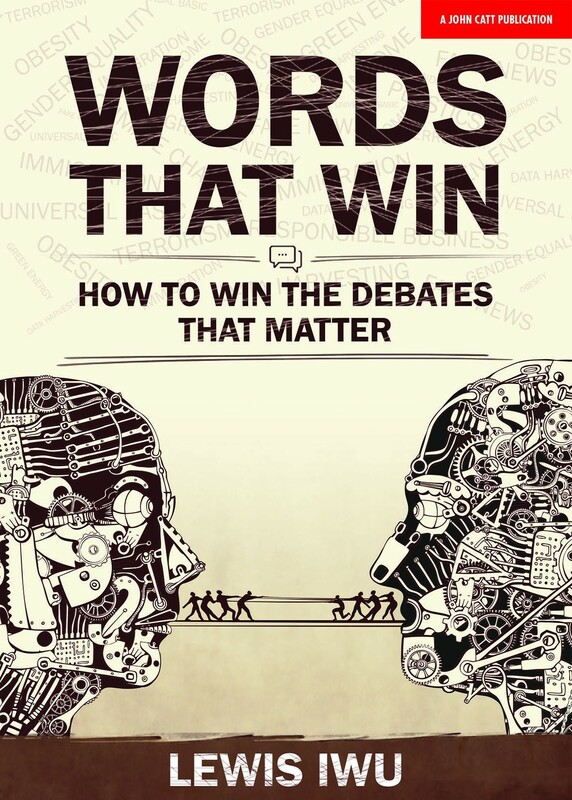 Words that Win is an insider's guide for student debaters, debate coaches, campaigners, politicians and business leaders and anyone who has to persuade people on the issues that matter to society. The book covers topics ranging from how to think strategically about a case to delivering speeches confidently in a large room. The final section of the book argues why every educational institution and business should invest in this activity. Have you wondered how you could win an argument about climate change against a climate sceptic? Or how to respond to someone who believes that the salary of sports stars should be capped? What about convincing a packed audience of children that violent video games should be banned? Throughout the book, Lewis (a former world university debating champion and a world championship winning coach) draws from examples from his 13 years of experience coaching debates in over 11 countries. Lewis Iwu is a former director of the Fair Education Alliance. In 2008, he won the World University Debating Championships, the largest and one of the most prestigious academic university competitions in the world. He is currently the co-coach of the National Schools Debating Team, coaching the team to winning the 2016 World Championships in Germany. Lewis studied Politics, Philosophy and Economics at New College, Oxford and served as College President. In 2007, he was elected President of the Oxford University Student Union and led campaigns on fees, rent and widening participation. He was previously a campaigns adviser at Brunswick, a corporate advisory firm. He worked in the corporate responsibility practice and advised businesses on how they could play a leading role in solving some of the world's biggest problems. Specialising in education and social policy, he worked with clients such as BT, McKinsey, Royal Mail and Linklaters and was a political adviser to Pfizer during their attempt to take over AstraZeneca. He served as a speechwriter to a number of CEOs and politicians. In 2007, he helped Margaret McCabe establish Debate Mate and has served as a strategic adviser and board member of the charity ever since. Over the past 10 years, he has taught young people how to debate in over 15 countries including Israel, U.A.E, Qatar, Nigeria. South Africa, Malaysia, Thailand, Japan, Jamaica and the USA. Lewis has served as head coach of the national school debate teams of England, UAE and Hong Kong.